QABook allows you to create, edit and manage requirements, test cases, defects, environments, project success criteria, reporting and more. 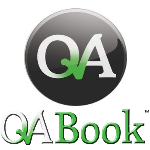 There are three versions of QABook available; Desktop, Web and Enterprise. All Team can work simultaneously on the same project. Support 20 concurrent user environment. Creates automatically a series of smaller Test Runs, split by 'assigned' tester, ready for execution. On Execution complete, the master Test Run will be marked as complete.